Despite the ruling, Lula da Silva does not face immediate arrest or disqualification from the 2018 presidential race. The Federal Regional Court of the 4th Region (TRF4), which is comprised of a panel of three judges, reached a unanimous decision that upholds a previous ruling levied against the former Brazilian leader. The panel increased his prison sentence from 9 years and 6 months to 12 years and one month. 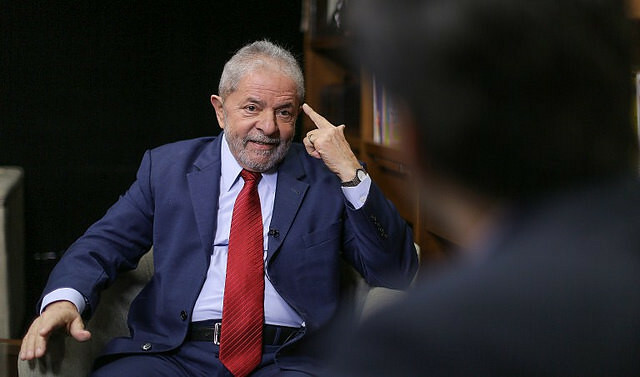 Prosecutors claimed that after leaving the presidency, Lula da Silva allegedly accepted US$ 1.1 million in bribes from the construction company OAS to pay for the remodeling of a beachside apartment in Guarujá, São Paulo. However, despite the court ruling, Lula da Silva does not face immediate arrest or disqualification from the 2018 presidential elections. According to Brazilian law, a final verdict can only be enforced after the appeal process is complete. The Brazilian justice system offers defendants a range of appeal measures to in order to postpone the application of a guilty verdict. Brazil’s Clean Record Law, which was enacted in 2010, can prevent candidates from running for public office for eight years if they have been convicted of a serious crime or are facing pending criminal charges. However, Lula’s defense team will still be allowed to take his case to the Supreme Court or the Superior Electoral Court (TSE). Regardless, the ruling sharpens the sting inflicted on large segments of Brazilian society who have questioned the legitimacy of the legal proceedings against Lula da Silva. According to a recent study from think-tank Fundação Getulio Vargas, just 29 percent of Brazilians trust their country’s legal system. Meanwhile, Brazilian social movements and civil society groups are staging mobilizations in at least 18 different states across the country on Wednesday in defense of their former President. Organizers of Wednesday’s political protests estimate around 70,000 people have gathered outside the courthouse in city of Porto Alegre, where Lula’s trial is taking place. “There is no legal justification for convicting Lula. Thus, the political activists belonging to the Brazilian Popular Front will not allow Lula to be arrested,” Joao Pedro Stile member of the Landless Workers' Movement (MST) stated leading up to the trial. A group of more than 200,000 people including highly influential writers, activists, artists, and academics signed an online petition of support as of Tuesday in defense of the country’s former President Luiz Inácio Lula da Silva. In the document, the signatories argued the judicial ongoing judicial proceedings against the former head-of-state are politically motivated attempts to disqualify Lula da Silva from participating in the 2018 Presidential elections. Since 2016, Lula has been under investigation as part of the anticorruption campaign known as Operation Lava Jato. Luiz Inácio Lula da Silva, who was imprisoned during Brazil’s military dictatorship, later became the most successful President in Brazil’s history, lifting millions out of poverty and making Brazil’s economy work for ordinary people during 8 years at the helm up to 2011.